THE BRITISH RAILWAY STORIES LTD: "Spread the word on...Tale of the Unnamed Engine"
One of the things which delighted me recently was a fan from the United States taking it upon himself to advertise our first eBook at one of his club's open days. 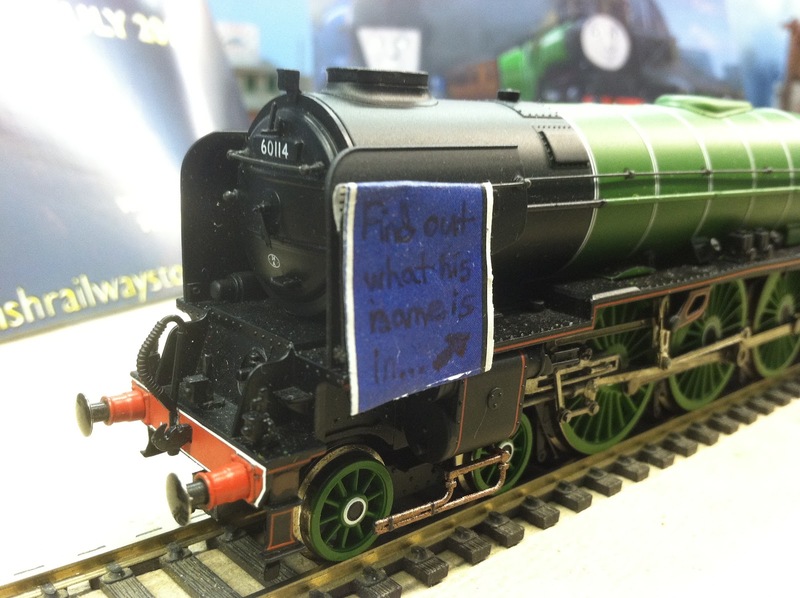 Here's James' take on the "Tale of the Unnamed Engine", complete with a model of 60114 as made by Bachmann for good effect! Here's James' email to me, complete with his fantastic photographs below. 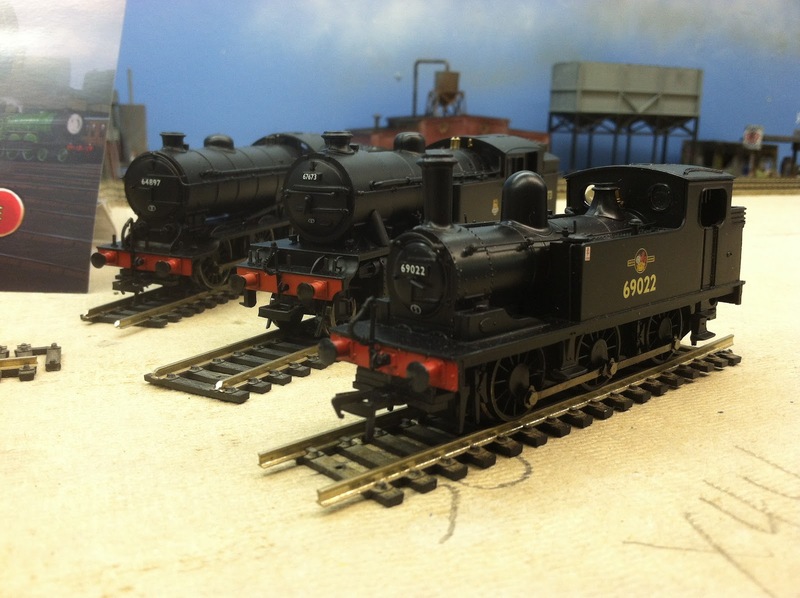 The Chesapeake Bay & Western Model Railroad Club is (on current record) the largest HO (OO) scale layout in the state of Virginia. 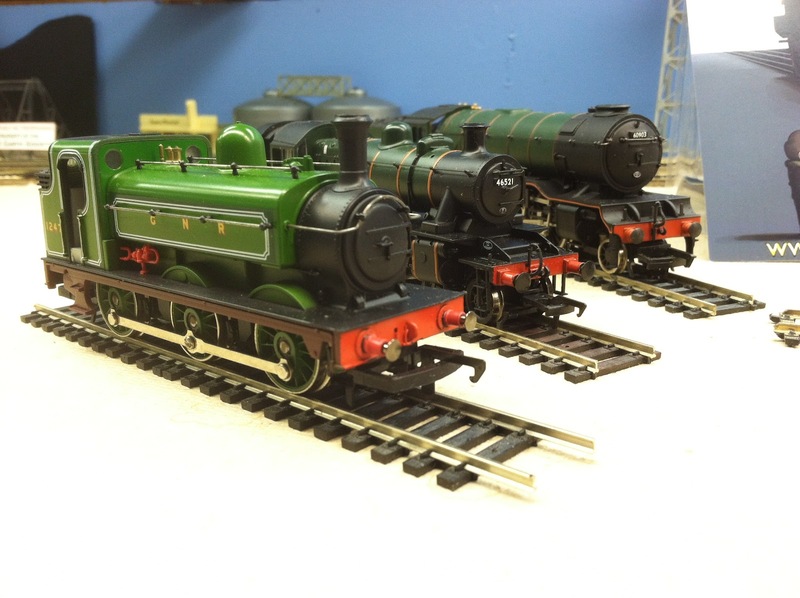 We usually do what we want to do, to make new parts for the layout, repairing the old parts, or to run and fix up your own trains. Our club usually host these open houses three or four times a year. Sometimes a day, sometimes a weekend. These open house was just for a Saturday due for an experiment (new air conditioning system). The display was to be set up due to me liking... no, loving you first book and me wanting to help you get more popularity. So I decided to make a presentable display of your own series. 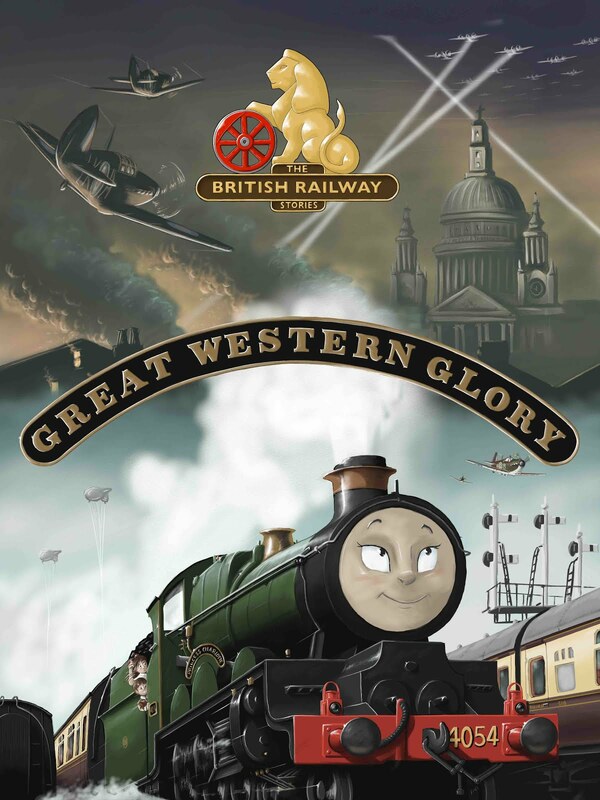 Simply posters, engines, and a bit of charm. The engines I got quite awhile ago, being a fan of your series. You see, most of us here are really still used to real books that evolve real book holding, the sound of turn pages, or that object that you put on a bookshelf in your living room to make others think you don't watch too much TV. But seriously, by popular demand, hardcover is most pleasant to us. But don't worry. I explained that situation and they were really interested. No promises, but I think you got a couple more buyers. Also a photographer came, I didn't catch his name but he was really interested in my freight train. So I pointed out my display and he took photos of it. He says he has his own website and will post his photo's eventually. I'll let you know when that happens. So that's basically it. Your book...*KOFF*Master Piece is a real gem in my book. I ask my Aunt to buy it on her Kindle and when I read the whole book. Again, love it! Sooner or later I really want it on my phone on iBooks. So that way I appreciate Dean's artwork even more (aunt own's the Black and White version ) and I'll have it with me at all times. But not any more than how much I want it in hardcover version. *on my knees* Praise the Lord to come very soon!!! Well James, may I say thank you on behalf of the company (myself and Dean!) 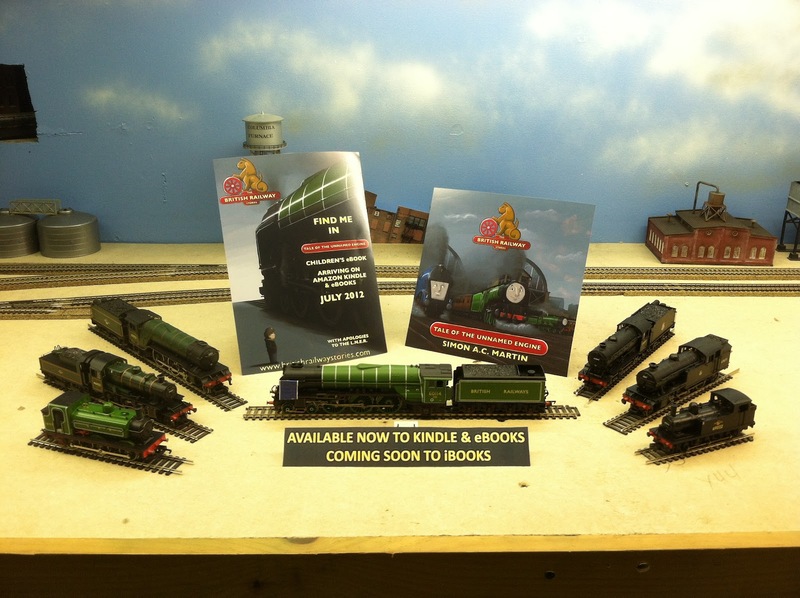 for displaying your wonderful model trains, and for advertising our eBook so wonderfully too. Thanks to everyone for their support, and we should have some news on the next few projects too in the run up to September. IT IS W.P.ALLEN!! !60114.RECIEVED NAMEPLATES 1949!